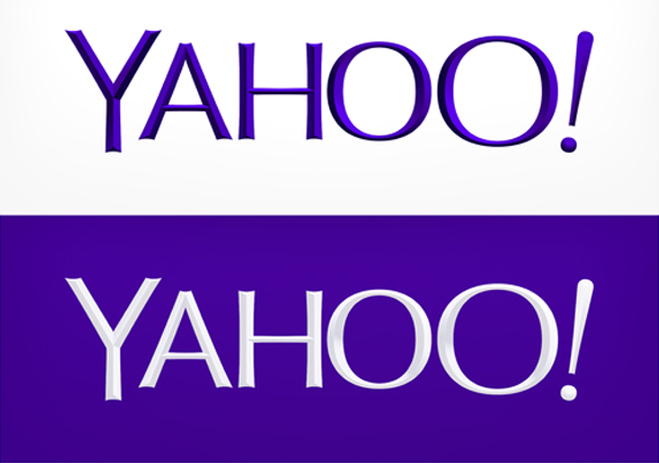 Yahoo is an excellent case study of what not to do when you’re changing your logo. In my humble opinion, what the company has done in its grand “unveiling” of its new logo after a good deal of fanfare is deliver essentially the same thing. It’s OK to slightly tweak your logo. It’s not OK when you have significant buildup for the first major logo change in 18 years, ask the online community for their opinion on a variety of logos and then go in a direction that doesn’t even include any of those options. So you used essentially the same color but a different shade. Come on, Kathy. Not exactly a bold change. Don’t serve me a hamburger and call it a Filet Mignon. Oh, the font is different. After 18 years, you changed the font. Wow. Question – could you have done less with your logo and still call it an evolution? I don’t think so. This stuff irritates me on a deeper level because it’s about more than just a new logo. It’s insulting an audience’s intelligence. This isn’t new. It’s a little tweak. My issue with that is that all the signs were there for something fresh to arrive – and they SHOULD have done something that was a departure from the old logo. They called their buildup “30 Days of Change.” In the last year, the company nabbed a high-profile CEO in Marissa Mayer. She seems to have big plans for taking Yahoo in a new direction. And I’m actually rooting for her and the company to implement those big changes. But this? LAME. It signals more of the same. And Yahoo can’t afford to bring more of the same for the sake of its long-term relevance. I just know that some people are going to say that all of this conversation about Yahoo being perpetuated here and elsewhere is only good publicity for the brand. Nice try. If I’m reading a lot of comments about this logo that range between apathy and great disappointment, that’s not the kind of writing you want. OK. Enough on them. Let’s talk about what this means for you when you’re considering whether you should undergo a logo tweak, logo evolution or complete logo overhaul. A need to distance yourself from the past and show that this isn’t your grandfather’s brand, etc. You don’t need all of the above to make big changes but on the other hand, I’ve sat across from CEOs who have debated if they needed to change their entire company name due to these events, not just their logo. So we can’t minimize the importance of how the extent of a logo change is interpreted – and by who, such as your prospects, customers, employees and investors. On the other hand, if you want to communicate you’re getting better all the time – but that you have the same strong management team/processes/products or services/vision – perhaps such a dramatic change isn’t warranted. Instead, it may call for a taking a new look at related fonts or other potential drops of color that are in same family as the existing color scheme. In other words, steps are needed to show an updated look for today’s day and age but it’s more about baby steps rather than huge leaps. It gets noticed but probably won’t ruffle too many feathers. My point is this: It’s never just about your logo. If you think it’s just about fonts and color schemes, think again and go deeper. It’s about the grander vision that’s interpreted from within your walls and by those outside of those walls. If I’m looking at your logo and thinking only a little bit has evolved when in reality you’re trying to communicate that it’s a whole new era, there may be seeds placed for a disconnect to occur – i.e. Yahoo. In the end, no matter what, a new logo can’t make up for a poor product/service or lousy management decisions or a culture that drives talented people out of the building. I think sometimes this gets forgotten by people who fool themselves into thinking logos can overcome all. That’s not a new logo. That’s called putting lipstick on a pig. But if those other pieces are in place, remember the “big picture” message you’re conveying in association with the degree of change to the logo. And I’m not just talking about whether or not you change the tagline under that logo either.